Acquaint your family with the haunts and landmarks of a Victorian London Christmas by watching this musical adaptation of Charles Dickens' 1843 novelette, Scrooge. 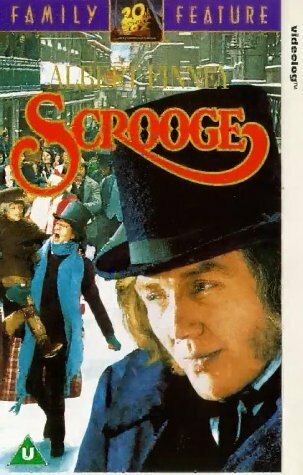 Filmed in the U.K. in 1970, it stars Albert Finney as Ebenezer Scrooge and Alec Guinness as Marley's ghost. Even though this film is rated G, some of the more intense scenes involving the three ghosts may not be suitable for very small children, but that's what the fast-forward button is for. The songs are entertaining, and Scrooge's change of heart from cold-souled miser to grateful individual after the spirit visitations on Christmas Eve make for a happy ending and holiday message the whole family will enjoy.